Road distance is calculated as fastest route, not necessarily shortest..
Free source code in PHP, ASP, ASP.NET (C#), Coldfusion comes with the purchase of any of our postcode databases. "...I would like to thank ZipCodeSoft and especially Peter, who helped me implementing the distance between postcode calculation with their very useful live chat support. 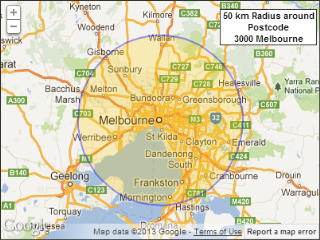 The distances and the street routes are displayed on a map which gives our website a smarter look and feel! Very very cool!..." 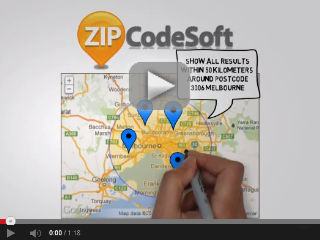 "...The postcode distance script in PHP from ZipCodeSoft provided us with a ready to go solution. Configuration took place in a minute and now we can display the distance and routing from our customers home to our nearest outlet. How cool is that? I still can't believe that there clever scripts are a free bonus to the inexpensive postcode database..."
"...The process of setting up the script and in a lot less time than anticipated. 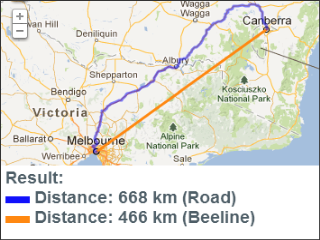 The road distance calculation between two locations is amazingly fast and works like a charm. The distance calculation is quick and the driving route can be displayed on a map which looks so sophisticated on our site..."